The ceasefire in eastern Ukraine was being generally observed despite local incidents, which were quickly resolved, said France and Germany's joint statement, issued by the Elysees Palace on Sunday. The statement was published after President Francois Hollande and Chancellor Angela Merkel held a telephone conversation with President Vladimir Putin and President Petro Poroshenko. Earlier in the day, Organization for Security and Co-operation in Euro, who observes the ceasefire in eastern Ukraine, confirmed that it had been substantially implemented in the last 12 hours, with the exception of certain areas in Debaltsevo and Lugansk. Ukraine mission head Ertuğrul Apakan added that the OSCE monitors failed to enter Debaltsevo, and called on both sides of the conflict to enable access to all territories in eastern Ukraine. The number of OSCE monitors will be increased to 350, according to the OSCE spokesman for the monitoring mission in Ukraine, Michael Botsurkiv. 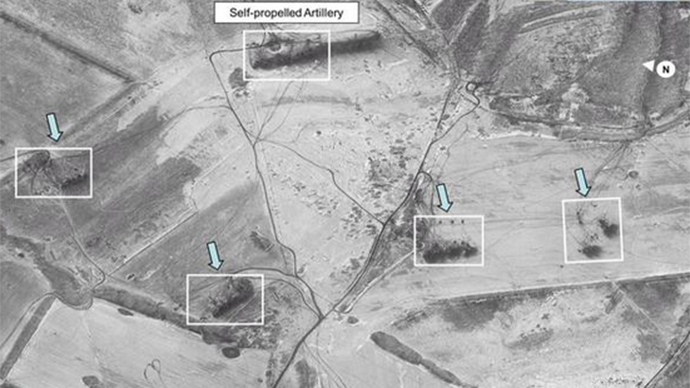 He added that the mission will also use drones and satellite images to monitor the holding of the ceasefire. The spokesperson of Ukraine's Joint Staff, Vladislav Seleznev, has confirmed that all shelling of Ukrainian positions has stopped at 3 AM local time. 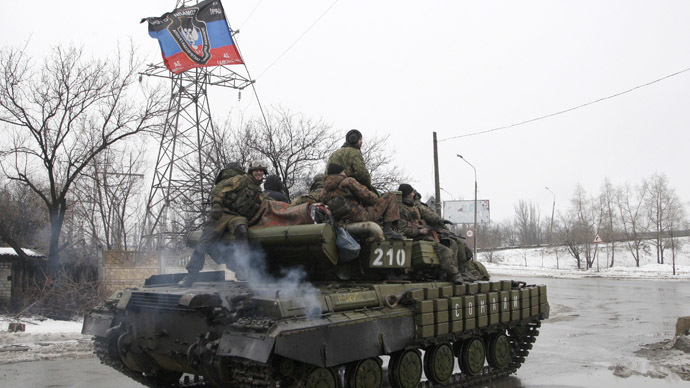 "The military posture is fairly stable," reported Donetsk region's police chief Vyacheslav Abroskin. The Donetsk militia representative Eduard Basurin that in the morning the rebel forces "selectively" taped the enemy batteries in response to provocative fire and that they would continue responding as promised earlier. 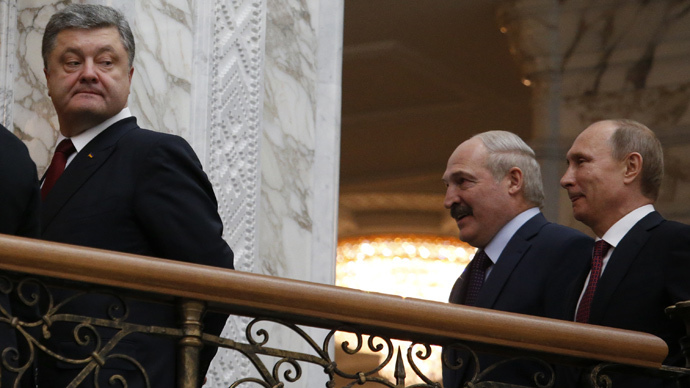 “We will start to withdraw heavy weaponry in accord with the Minsk agreement and [by the] time set," he added. Another militia leader Denis Pushilin denied that Donetsk officials had received any requests from OSCE to enter the Debaltsevo area. Despite the sporadic shelling that marred the morning, residents of Kramatorsk felt relieved with the coming of the ceasefire. "I cannot say that optimism prevails... At least there are no sounds of shooting now,” journalist Kerstin Kronwall, who is in the city reporting for Yle, said. The blissful silence in the morning, according to the rebels, lasted for less than an hour, as Ukrainian troops inflicted several mortar and artillery strikes on rebel forces guarding the perimeter of Debaltsevo mousetrap, where an estimated 5,000 Ukrainian task force is running out of munitions and ordnance while making attempts to break out. 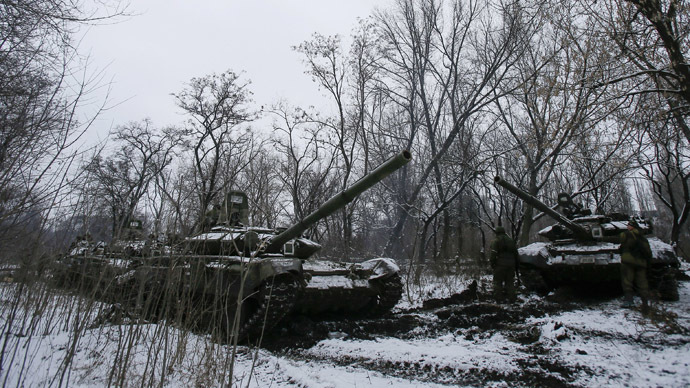 The locked Ukrainian troops shelled settlements of Yenakievo and Gorlovka, as well as the territory of Donetsk airport, no so long ago handed over to the militia forces after months of severe firefight. 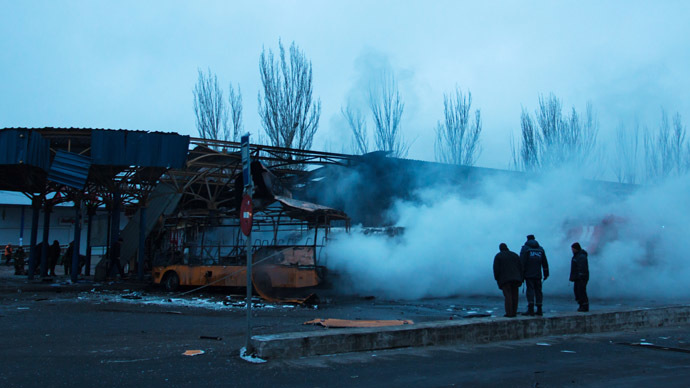 But the living quarters of the city of Donetsk this time remained intact. Donetsk People’s Republic (DPR) head Aleksandr Zakharchenko said on the eve of the ceasefire that the entrapment near Debaltsevo is situated on the territory fully controlled by the rebel forces. This is interpreted that Minsk agreements on separation of the warring parties do not apply to the encircled Ukrainian servicemen. “Please pay attention to the fact that there isn’t a word about Debaltsevo [entrapment] in Minsk agreements. That means that Ukraine has simply betrayed those 5,000 people in Debaltsevo trap,” Zakharchenko said, stressing that no negotiations about the entrapment is currently underway with Kiev. "Any attempt of the Ukrainian armed forces to unblock Debaltsevo will be regarded as violation of the Minsk agreements, such attempts will be suppressed, adversaries will be eliminated,” he added. The blockaded Ukrainian troops have been offered to turn in their weapons and surrender, but very littler number of servicemen has followed the call due to retreat-blocking detachments of Ukrainian nationalists guarding the troops in the rear of their positions. "All the sequences of actions have been mentioned in the package of measures for the implementation of the Minsk agreement. All those terms have to be observed unconditionally," Dmitry Peskov was quoted as saying by Reuters. 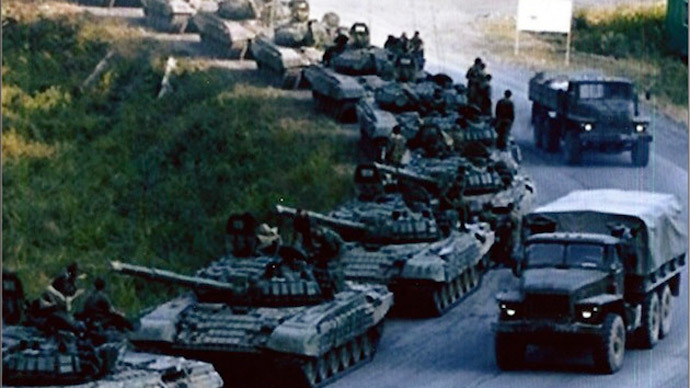 Kiev authorities have been consistently denying the very existence of the Debaltsevo entrapment. Yet Ukrainian President Petro Poroshenko has told Ukrainian Joint Staff that the peace process is under the threat of failure because of the situation at Debaltsevo. 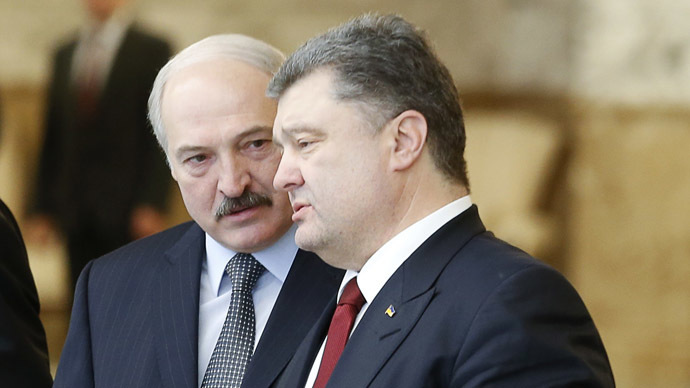 “I’ve warned you on that,” Poroshenko stressed. In the meantime France’s TV5 Monde aired the disastrous humanitarian catastrophe the Donbass locals find themselves in. 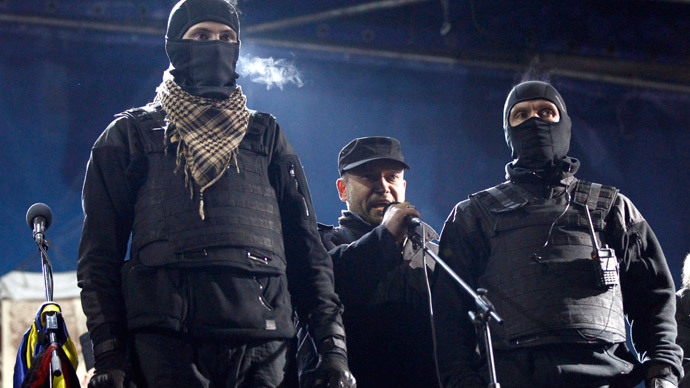 The people there trust no one and do not believe a peace with Kiev is tangible. “They have proclaimed ceasefire many times but never respected it,” a local woman told French reporters. Several hours later the statement was deleted from the website. The rebels have informed that they need all of the territory of the Donetsk region under their control, not just the area they fully control right now. DPR’s head Aleksandr Zakharchenko said that the rest of the region is regarded as “temporarily occupied” and will be liberated politically or militarily. Political way is preferable as it helps save human lives, but if politics does not succeed, “we’ve already drawn attention to our capability to solve issues militarily, and not once for that matter,” Zakharchenko said. In the meantime two convoys with humanitarian aid from Russia are under customs clearance right now on the Russian-Ukrainian border. Once cleared, the white trucks of Russia’s Emergency Ministry will go on two routes: to Donetsk and to Lugansk, delivering food and medical supplies to citizens of the besieged cities. Simultaneously with this, a shipment of 28 tons of medical supplies has arrived to Donets from Germany. The supplies were bought using donations collected in Germany by initiative of a group of German MPs and the shipment became the very first humanitarian aid delivered to Donbass from the EU. The delivery was made through the Russian territory because Kiev failed to provide Berlin with transit authorization. Four trucks from Germany delivered medical supplies to Donetsk, Lugansk and Gorlovka.